There were a lot more things planned for the weekend but they've been rescheduled thanks to the elements. 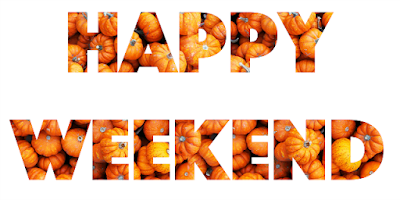 There's still plenty to do and all the weekend events from the Facebook page for easy access. Some of these may require registration. Always check with the organizations for the most updated information or if you have any questions. We appreciate the shares and likes! If we're missing something, let us know. Don't forget we have the most comprehensive pumpkin patch list in all of Corpus Christi here! We've also got all the upcoming festivals in our Fall Fun Guide if you're planning ahead. Also, compiling and collecting all this information is a lot of hard work, please be courteous if using this information and give us credit :). Don't forget the Corpus Christi Museum of Science and History Haunted Museum starts this weekend! Fun for the whole family in a safe environment! Our 2nd annual Trunk or Treat is this Sunday, 5 to 6:30. Prizes! Fun! Invite your neighbors with trunk or treat age kids and don't forget to share this post!! Donations of baby supplies will be accepted for Hope House.